IoT is being embraced by an increasingly diverse set of sectors and one which is reaping the benefits is the retail sector, specifically supermarkets and how they are using data in cold-chain (refrigeration) solutions. 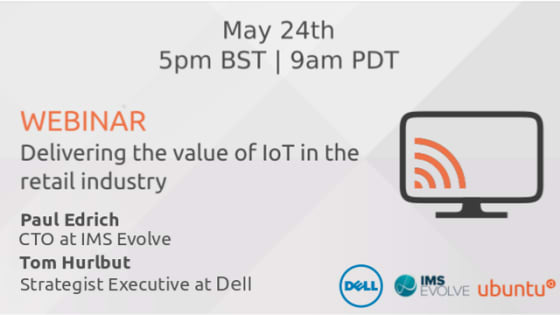 For this webinar, join Paul Edrich, CTO of IMS Evolve, who is helping major supermarket chains to manage billions of data points in real time to inform operational processes, reduce energy consumption and increase product quality. What does IMS Evolve do to solve the problem and how can legacy infrastructure can be integrated into IoT solutions? Which technologies are enabled to help achieve improved operational processes and a better customer experience?